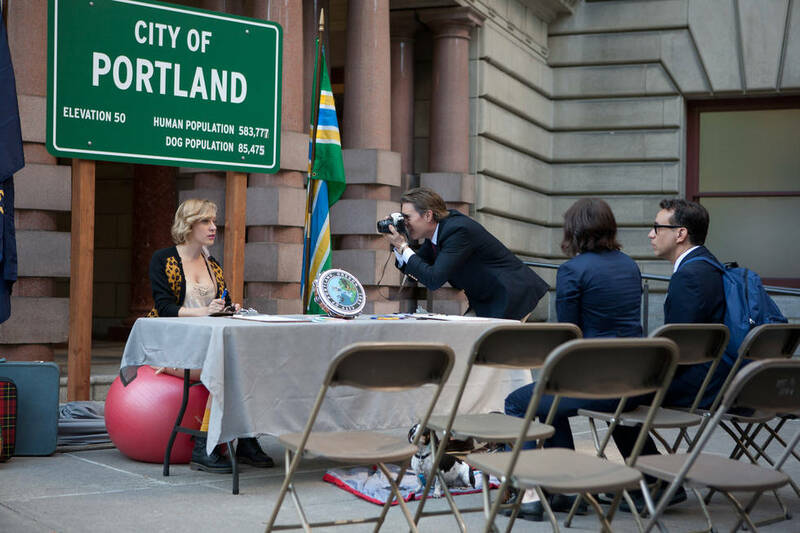 IFC’s wonderfully clever sketch comedy series Portlandia, starring Fred Armisen and Carrie Brownstein as an assortment of characters from Portland, Ore., returns for its third season on Jan. 4, 2013. You can catch up with the first two seasons during a 24-hour Portlandia marathon that begins on IFC at 6 p.m. Eastern on New Year’s Eve; plus, the special Winter In Portlandia airs three times over this weekend. What can we look forward to in the third season? For one thing, more of a structured narrative. The third episode of season three, “Nina’s Birthday,” is a full 22-minute storyline. A new protest anthem for unemployed millennials. Chloe Sevigny as a Seattle resident charmed so much by Fred and Carrie that she becomes their roommate! More Kyle McLachlan and Kumail Nanjiani, plus Patton Oswalt, Roseanne Barr, Jim Gaffigan, Bobby Moynihan, Martina Navratilova, No Doubt, Matt Berry, Rose Byrne, George Wendt, Juliette Lewis, J. Mascis, Bill Hader and ??? A sketch with spoilers about Breaking Bad, Game of Thrones, Mad Men, Dexter, True Blood, Homeland, Downton Abbey, The Wire…and on and on…with a helluva callback, but I don’t dare spoil it for you! Well, on the other hand…SPOILER ALERT! You can watch this “Food Coma” sketch, however, as it’s timeless. Especially if you’ve just had or are just about to have lunch. Enjoy!